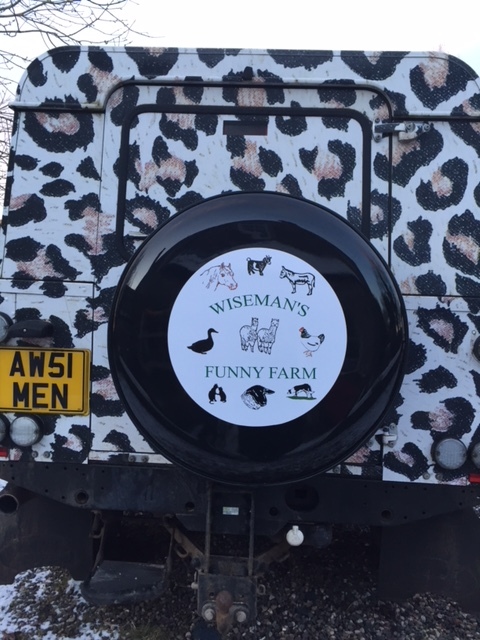 We are constantly amazed by the number of business people who drive around in their 4 wheel drive or utility vehicles advertising not their own business but the business of the supplier of their vehicle! 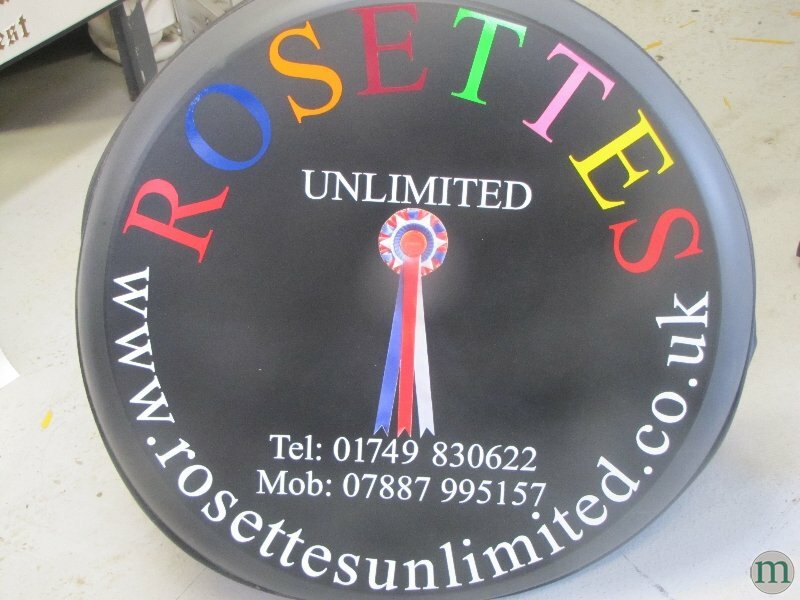 Advertise your business 24 hours a day wherever you travel or park with a quality wheel cover from Mendip Signs. 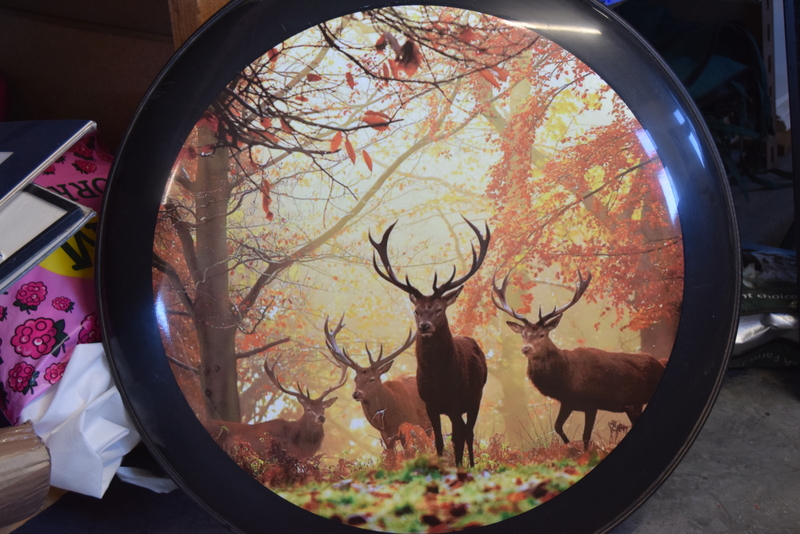 Unfortunately, we can’t recommend wheel covers with applied vinyl where the covers are to be power-washed as the small lettering can be dislodged under extremely forceful pressure washing. 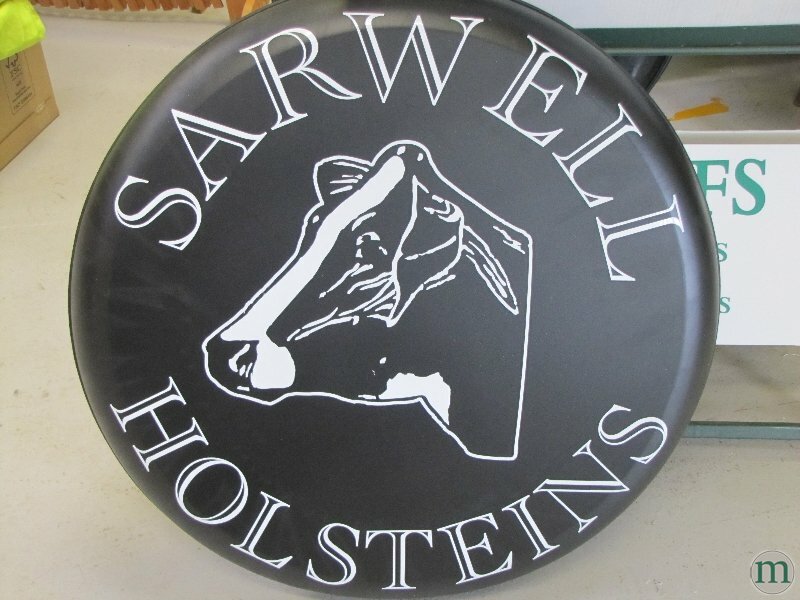 If power-washing is essential, then a printed wheel cover has a larger adhesive surface area that is an ideal alternative and can resist the high water pressure. 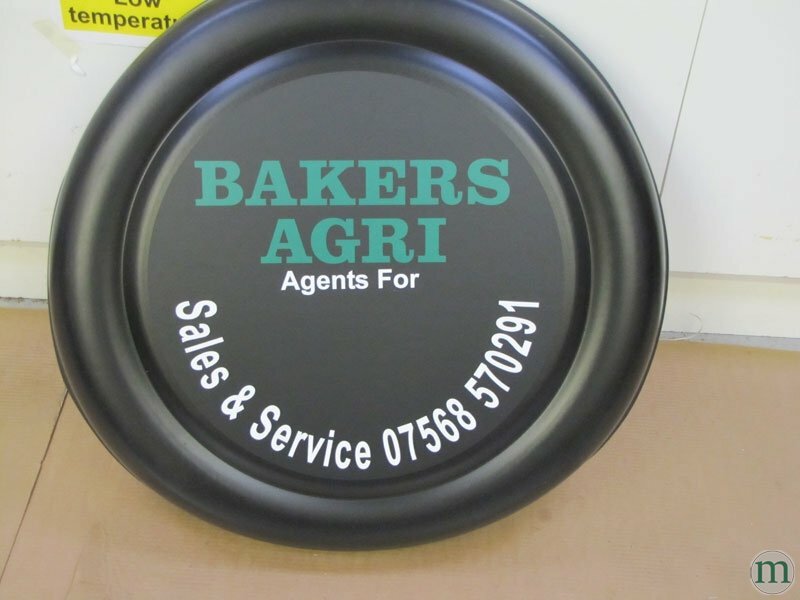 A glossy black semi-rigid cover with an elasticated black soft vinyl tread cover to fit most vehicles with vinyl text and or digital graphics applied is £95 (+ delivery). 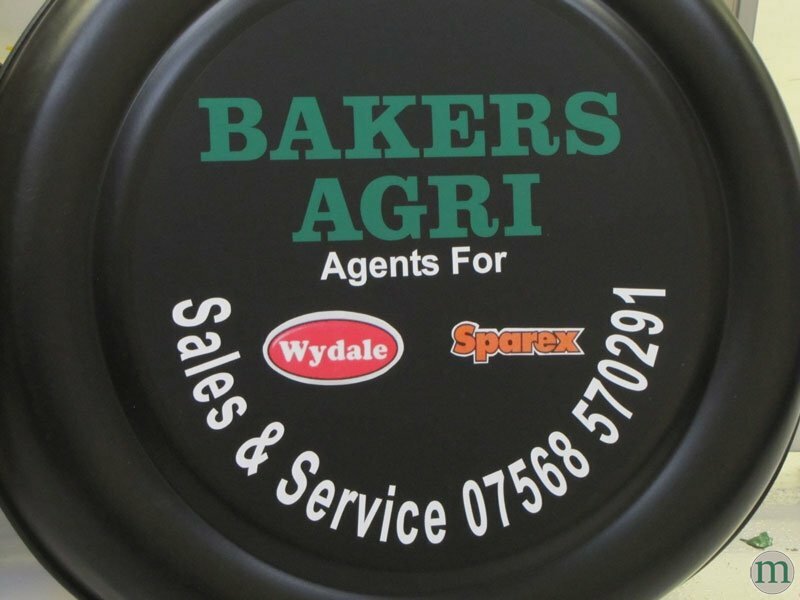 We require the tyre size (e.g. 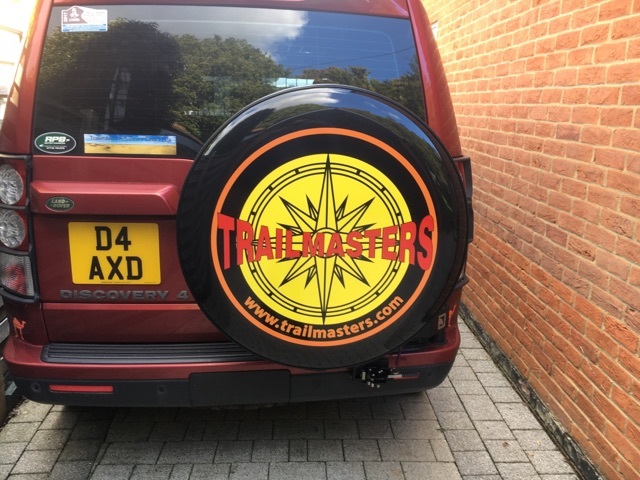 225 R70), the vehicle make and the text you will want so our design team can come up with an attractive and attention grabbing design.